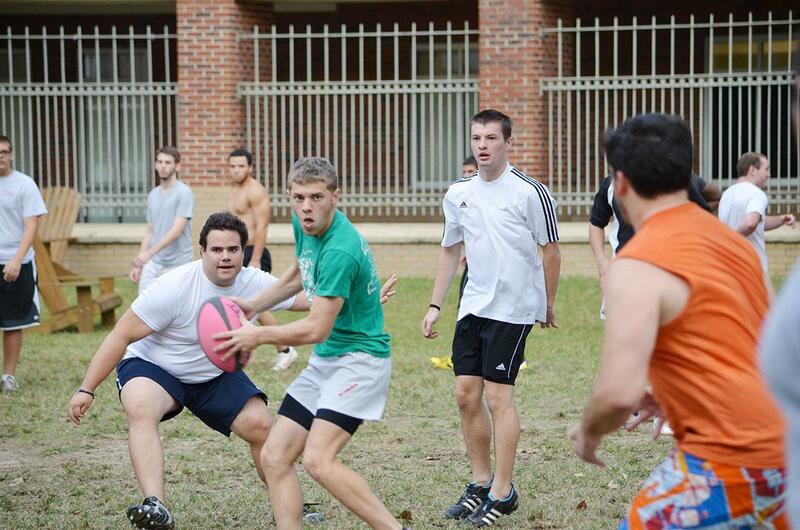 The rugby team practices in the res quad after dominating South Alabama. 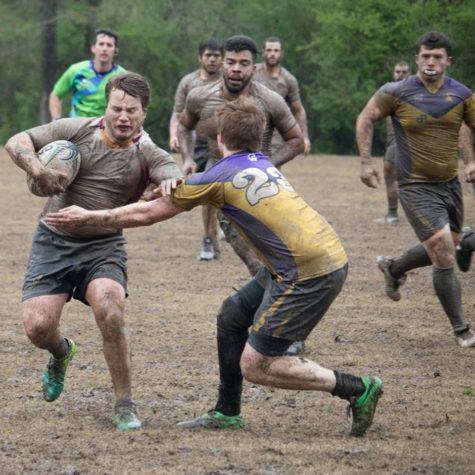 The rugby team beat South Alabama 56 to 5 in its first game. 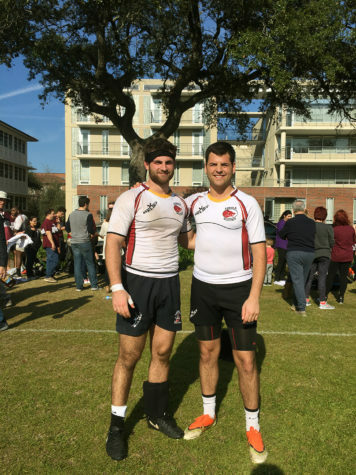 In a historic win, the Loyola rugby team beat the University of South Alabama 56 to 5 in the first game of the season. 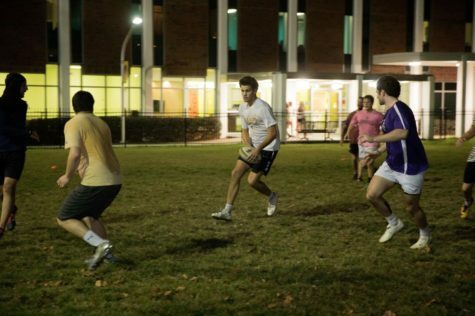 The rugby team’s victory on Saturday, Sept. 29 was the first time the team had ever scored more than 50 points. The 51-point win was also the largest margin of victory the team has ever recorded. After missing national playoffs by only one game last year, the team is already showing improvement on last year’s success. 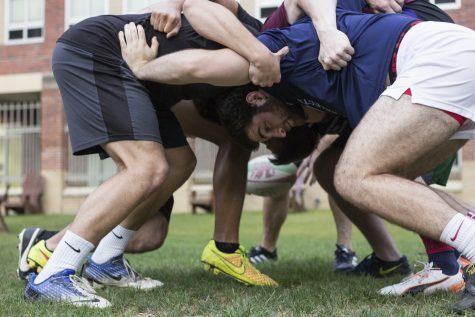 The Loyola rugby team, a club sport not affiliated with the Wolf Pack Athletics, has been radically developing its player roster from anyone that showed up to a practice to now recruiting high school graduates. 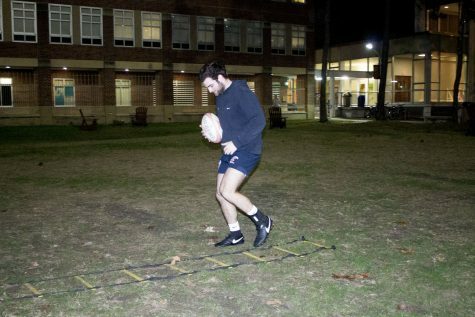 The recruiting process has been fruitful in helping Loyola establish itself as a rugby school. Rugby Head Coach Sam Brock was pleased to see the team’s talent translate into success so early in the season. “We were not expecting to dominate in the way we did on [that] Saturday,” Brock said. The difference, Brock says, is that he has been recruiting a lot of players that have high school experience. 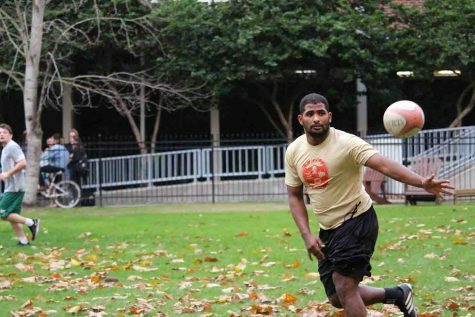 The rugby team relied on volunteer Loyola players in past years but is now seeing results from recruiting experienced players. Lithgow and criminal justice freshman Connor Delahunty, went to high school at Sacred Heart Cathedral Preparatory in San Francisco. However, not all players were recruited. Former Wolf Pack men’s basketball player and graphic design senior Christopher Joseph Knibbs, who graduated from Saint George’s College in Kingston, Jamaica, decided to play on the rugby team after having been part of the men’s basketball team during his first two years at Loyola. “I tried out for the basketball team and decided to take a break from that,” Knibbs said. 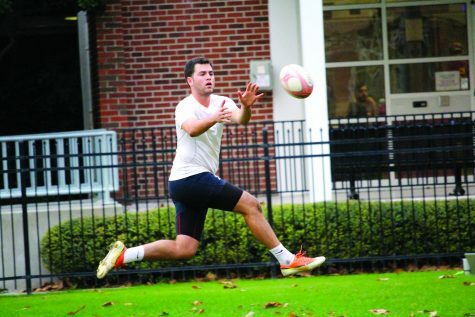 In high school, Knibbs was the second leading try scorer for the rugby team as a senior. 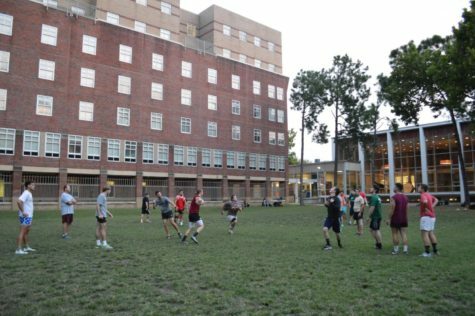 freshmen that we see coming in this year look a lot stronger than years past,” Knibbs said.